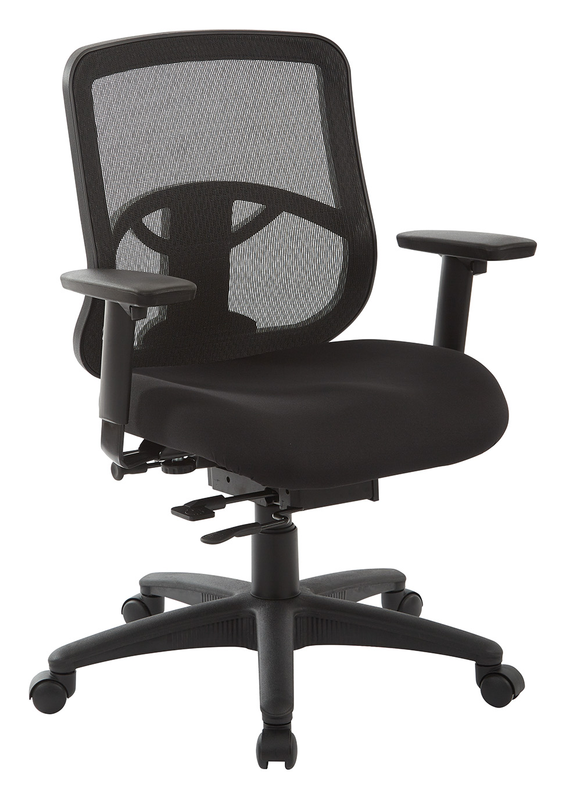 A real work horse, this office chair is designed to provide the ergonomic support you need during the busy work day. Built-in lumbar support and a breathable mesh back combine with a thick padded fabric seat for an increased level of comfort. The classic black design is right at home in any office space and is a solid investment for years to come. Upgrade your office chair with the ProGrid® Back Task Chair.